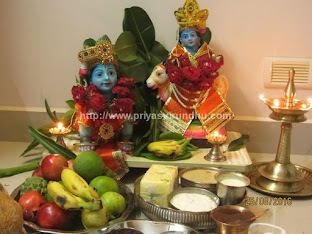 I know it should be really a very busy day for all of you preparing for pooja and making all delightful sweets and snacks. 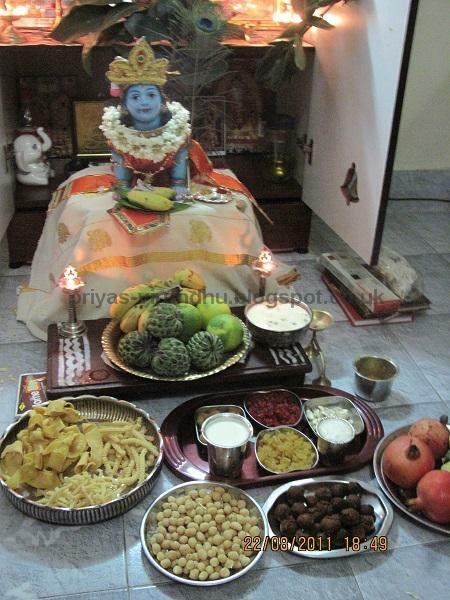 I am also preparing simple and quick snacks for Krishna Jayanthi, because I came back very late from my vacation. 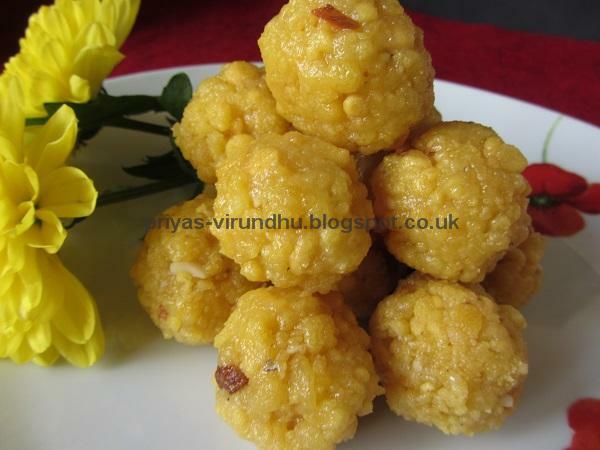 I always have a special place in my heart for this maaya kannan from my childhood days. 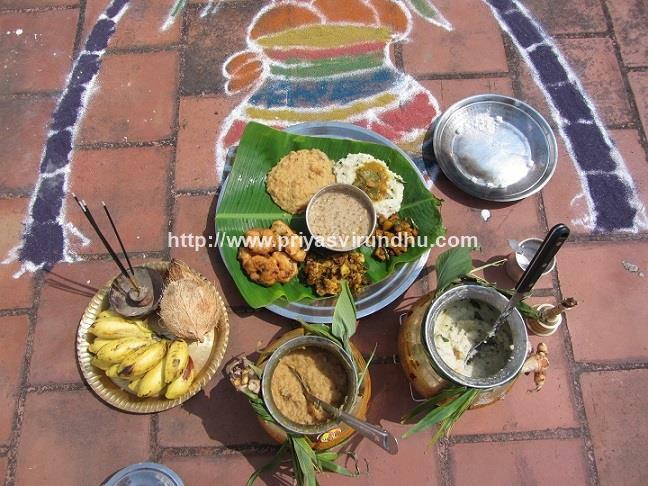 The usual dishes prepared for Krishna Jayanthi includes Murukku/thenkuzhal, Uppu Seedai, Vella Seedai, Thattai, Aval payasam,Paasi Paruppu Payasam, Ladoos, Gulab Jamuns, Badam Kheer, Uraddal/Medhu Vadai, Rava Kesari, Sukku Vellam etc. 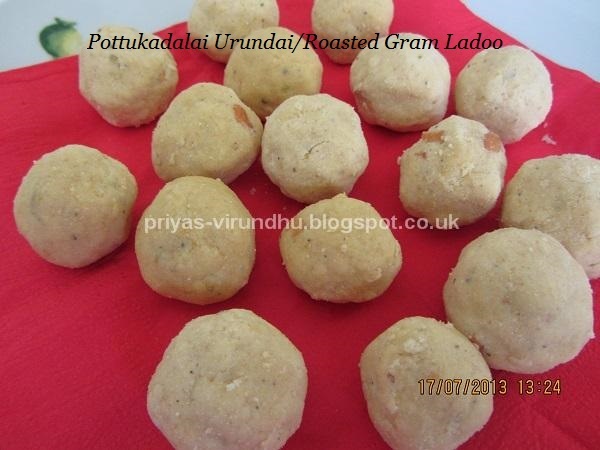 Pottukadalai/Roasted gram ladoo is a very delicious traditional South Indian sweets that can be made very quickly. It needs exactly 5 ingredients and can be made within 15 min and a perfect kids delight. 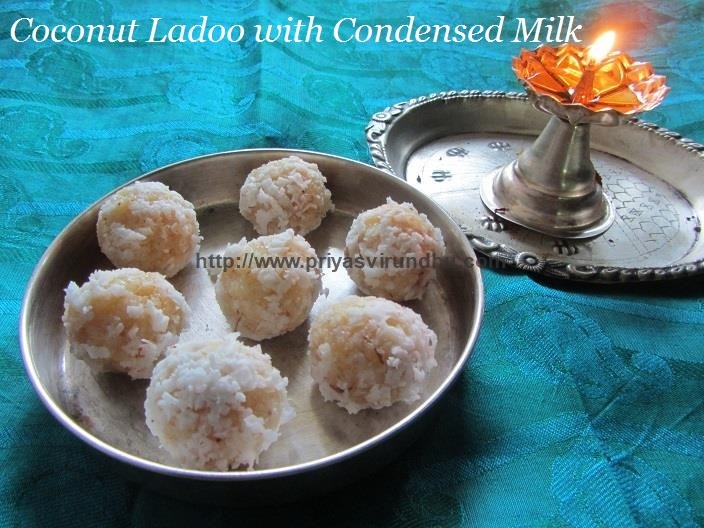 I do make this ladoo on Janmashtami days and when I am really lazy to make any other sweets for my kids. Now that my kids have no school and are at home, they wanted some thing sweet. 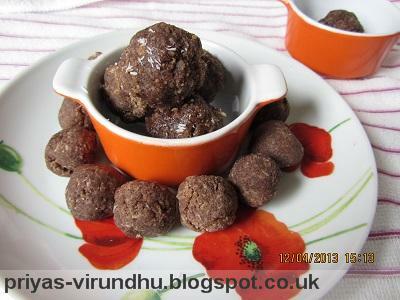 So I was thinking something healthy as well delicious. 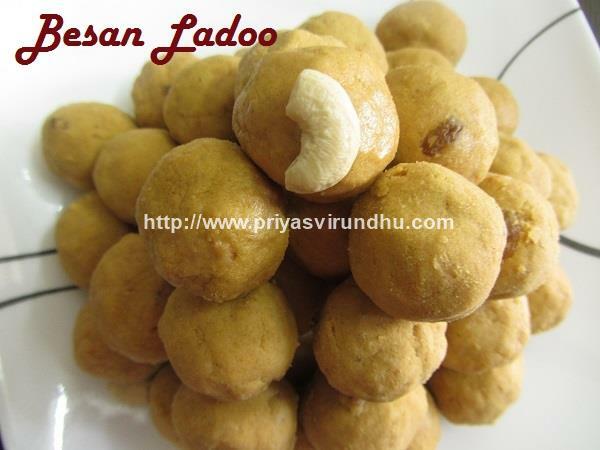 That is when I wanted to make ragi ladoo. 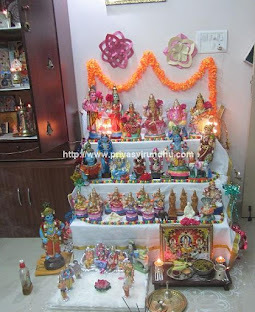 I came across my friend Preethi’s blog. 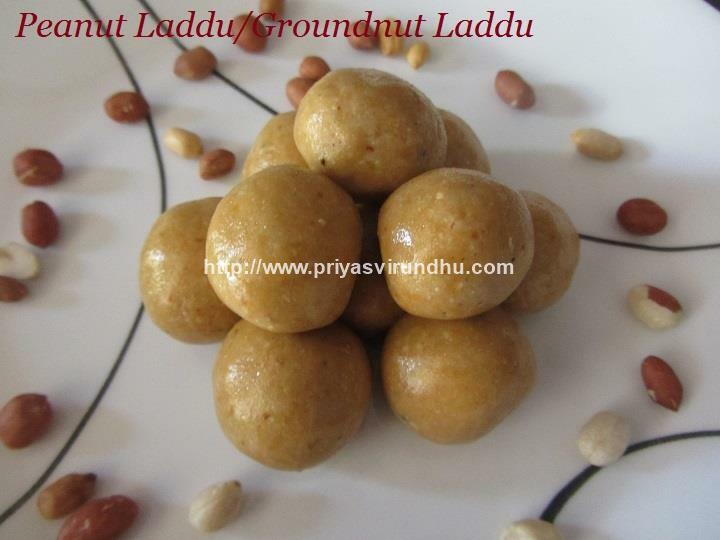 I found her ragi ladoo very interesting, she had used almond milk powder. 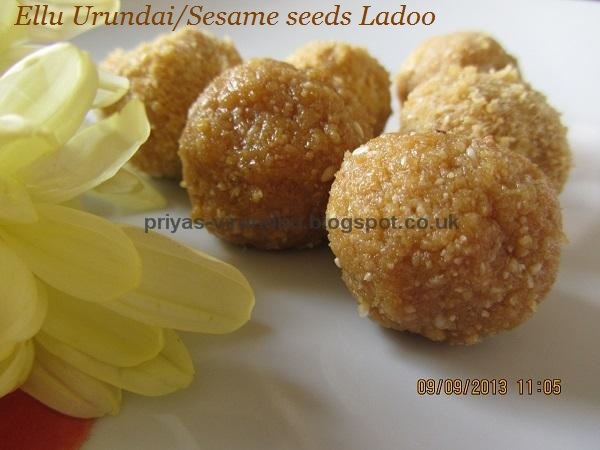 I skipped that part and added cardamom powder. 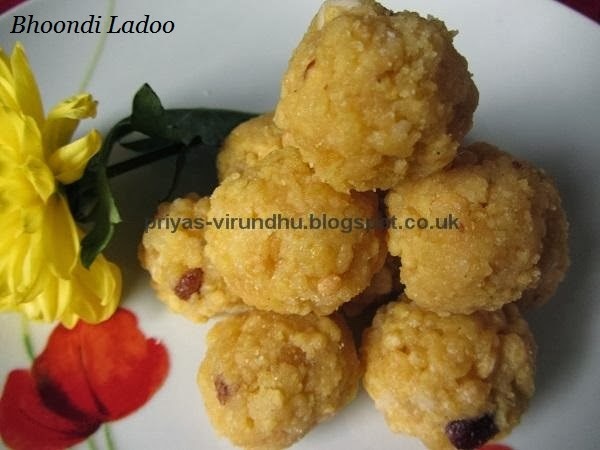 The ladoos came out fabulous, my kids loved it. 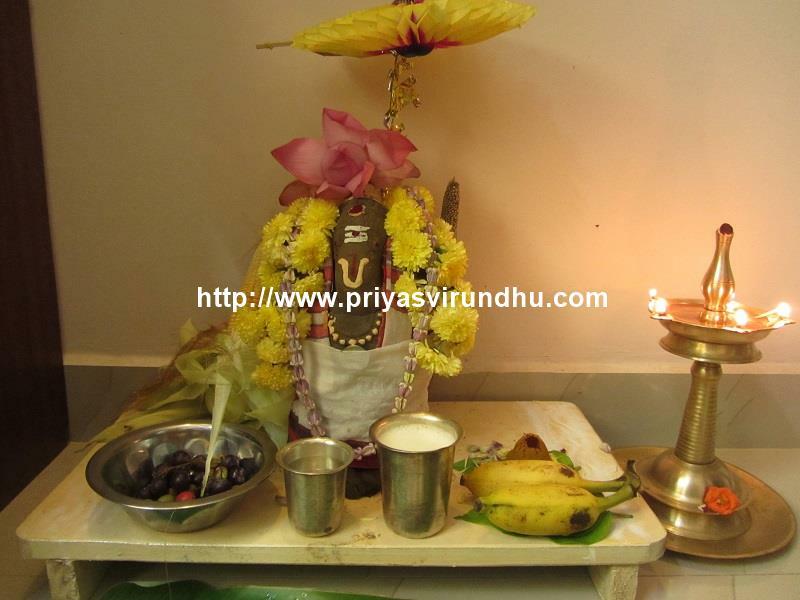 Thanks a lot Preethi. 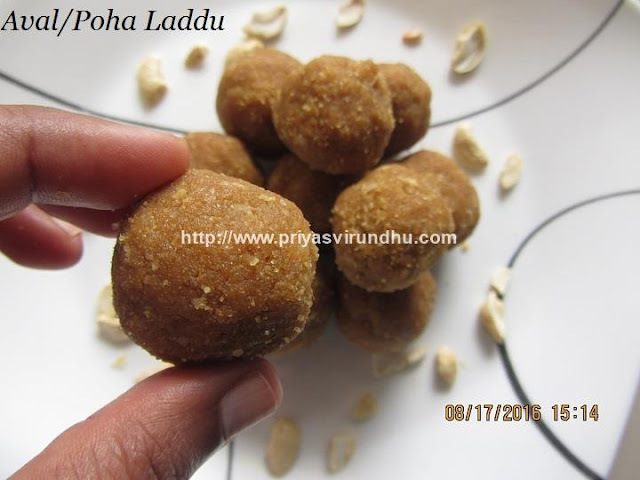 So I thought I will share it with you all.